Do you have a question about 5 A Day? We answer some of the most frequently asked questions. Q: Does the fruit and veg have to be fresh? A: No. Fresh, frozen, canned, dried and juiced fruit and vegetables all count towards your 5 portions. Aim for at least 5 portions (a total of 400g) of a variety of fruit and vegetables each day. Dried fruit and fruit or vegetable juices and smoothies can cause tooth decay, so should only be eaten or drunk as part of a meal and not as a between-meal snack. Q: How much is 1 portion of fruit for adults? A: A portion of fruit is approximately 80g, which could be half a large grapefruit, a 5cm slice of melon, or 2 satsumas. A portion of dried fruit is around 30g: this is the equivalent of 80g of fresh fruit. One 30g portion could be 3 dried apricots or 1 tablespoon of raisins. A 150ml glass of unsweetened 100% fruit or vegetable juice or smoothie combined counts as 1 of your 5 A Day. Portion sizes are different for children and depend on their age and size. As a rough guide, 1 portion is the amount that fits into the palm of their hand. To learn more about portion sizes, go to 5 A Day portion sizes. Q: How much is 1 portion of vegetables for adults? A: A portion of vegetables for adults is approximately 80g. This could be 3 heaped tablespoons of cooked carrots, peas or sweetcorn, or 1 cereal bowl of mixed salad. Children require different portion sizes, but as a rough guide 1 serving is the amount that fits into the palm of their hand. Three heaped tablespoons of beans and other pulse vegetables, such as kidney beans, lentils and chickpeas, count as 1 portion. Beans and pulses count as a maximum of 1 portion a day, however much you eat. While pulses contain fibre, they don't give the same mixture of vitamins, minerals and other nutrients as other fruit and vegetables. Q: Do potatoes count as 1 of my 5 A Day? A: Potatoes, yams, cassava and plantain are vegetables, but don't count towards your 5 A Day. This is because they mainly contribute starch to your diet. Other root vegetables, such as sweet potatoes, parsnips, swedes and turnips, are usually eaten as a vegetable alongside the main starchy food in a meal. These count towards your fruit and veg portions. Learn more about a healthy, balanced diet by looking at the Eatwell Guide. Q: Do juices and smoothies count towards my 5 A Day? A: Unsweetened 100% fruit juice, vegetable juice and smoothies can only ever count as a maximum of 1 portion of your 5 A Day. Your combined total of drinks from fruit juice, vegetable juice and smoothies shouldn't be more than 150ml a day, which is a small glass. When fruit is blended or juiced, it releases the sugars, which increases the risk of tooth decay, so it's best to drink fruit juice or smoothies at mealtimes. Read more about healthy drinks. Q: Can I just eat 5 portions of my favourite fruit or vegetable? A: To get the maximum benefits, you need to eat different types of fruit and vegetables. This is because different fruit and vegetables contain different combinations of fibre, minerals and other nutrients. Aim to include a wide variety of fruit and vegetables in your 5 A Day to get the most nutritional benefit. Q: Do the fruit and vegetables in takeaways count towards my 5 A Day? A: Yes, they can count towards your 5 A Day. But takeaways and other ready-made convenience foods can be high in added fat, salt and sugar, so only eat them occasionally or in small amounts. To find out the fat, salt and sugar content of many ready-made meals, check the label. Find out more about food labels and healthier takeaways. Q: Do vitamin pills or other dietary supplements count towards my 5 A Day? A: No. Taking dietary supplements doesn't have the same health benefits as eating more fruit and vegetables. Fruit and vegetables contain additional beneficial substances, such as fibre. For most adults, a healthy and balanced diet containing at least 5 portions of fruit and vegetables a day will contain all the nutrients needed. Some people are advised to take a supplement by their doctor, as well as eating a varied, balanced diet. For example, women who are trying to conceive or who are likely to become pregnant are advised to take a daily 400 microgram (mcg) supplement of folic acid until the 12th week of pregnancy to reduce the risk of neural tube defects, such as spina bifida. Find out about vitamin supplements in pregnancy, as well as general advice about vitamins and minerals. Q: Can I give my baby fruit and vegetables during weaning? A: Mashed or soft pieces of fruit and vegetables make ideal foods to give your baby when they start having solid foods, and are easy to prepare. Weaning is an ideal time to gradually introduce your baby to a variety of fruit and vegetables so that by the time they're 1 year old, their diet is mixed and varied. You can learn more in Your baby's first solid foods. 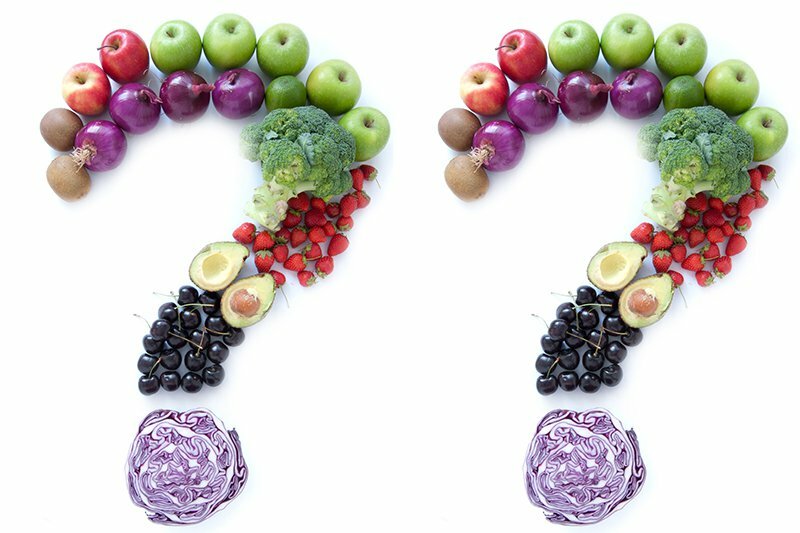 Got another question about 5 A Day? If you have a question about 5 A Day, email the 5 A Day team at Public Health England: phe.enquiries@phe.gov.uk.